Global Minorities Alliance hasn't added a story. What do you do when you need to do everything? You do something. Star of the Land Education Centre (formerly Mchanganyiko CBO School) is located in the Kibera slums of Nairobi – and it needs almost everything. The school has no library and wants to establish a resource centre in the Kibera slums. This will also provide learning material for the kids. Lack of a school library means they cannot compete with other schools that have well equipped libraries and even computers. ‘Education is vital to a thriving society, a key to a bright future. A society without education will become the breeding ground for violence and intolerance. But an educated society will promote tolerance and peace, justice and understanding, innovation and advancement, and positive, self-sustaining growth. It’s important to educate our children, no matter where they live, for they will grow to become responsible citizens of their society,’ says our Kenya Ambassador, Anne Misiko. But we think we can do more than that. The school needs all sorts of other things as well – so we’ve set ourselves an overall target of £5,000. If you can help us reach it, please donate now. Global Minorities Alliance hasn't posted any updates yet. Global Minorities Alliance is managing the funds for this campaign. 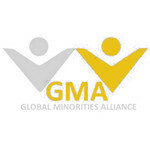 Global Minorities Alliance is a verified organization.